All John Hardy jewelry is artisan-crafted, our pieces are one-of-a-kind and unique. Similar style bracelets are created with different gauges and different materials, which affects their length. Once you have selected a piece, the best way to determine what size to order is by measuring your actual wrist. Please see below for more instructions on how to measure your wrist for bracelets, cuffs, coils, and bangles. 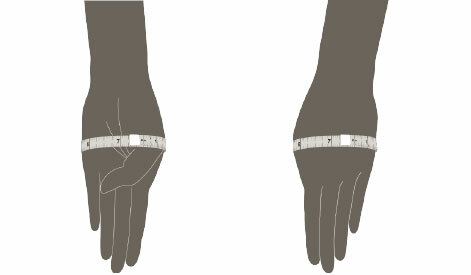 Using a flexible tailor’s tape, measure the circumference of your wrist by fitting it right above the wrist bone. If you do not have tailor’s tape, we offer a printable tape that you may use to measure your wrist. Please do not use string or any other type of tape. Match this measurement to the correlating row on our Size Chart, below. 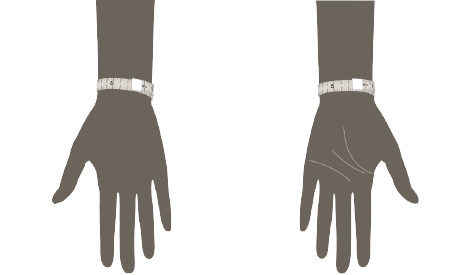 For example, a wrist measuring just over six inches would correspond to a woman’s medium. John Hardy bracelets are crafted for maximum style and comfort, and our artisans ensure that our bracelets allow for extra room on your wrist. However, if you are on the cusp between two sizes, you may select the smaller size for a tighter fit, or larger size for a looser fit, depending on your preference. A medium is our standard stock size, but the majority of our bracelets come in sizes small, medium and large. For additional sizing, or questions regarding your measurements, please contact our Client Care Concierge for further assistance at 888.838.3022. Bangle size is determined by the size of your hand and not your wrist. To determine your bangle size, simply tuck your thumb into the palm of your hand (as if about to put on a bangle) and using tailor’s tape, measure your hand all the way around the set of knuckles closest to your wrist, from knuckle to knuckle. Compare that measurement to the chart..
Measure the finger you intend to wear the ring on using a flexible tailor’s tape or a ring sizer. Narrow/Band Rings: Should fit snugly at the base of the finger, but also wide enough to fit the widest part of the finger. Wide Rings: Should be worn a bit looser than narrow/band rings. Coil Rings: May expand or stretch over time. Using a flexible tailor’s tape, measure the necklace from clasp to clasp to determine the length. 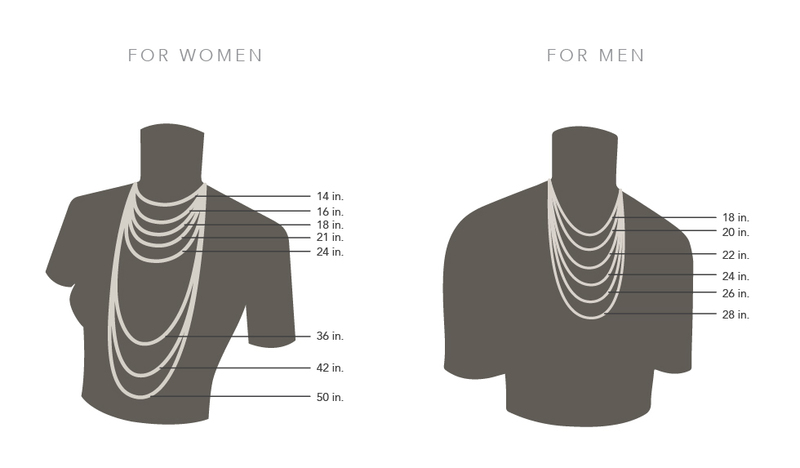 Below, you will find an illustrated chart of how the necklace may appear while worn.